MAHLE ANAND Thermal Systems Private Limited, a leading name in the world of automotive air conditioning and engine cooling systems, is viewed as a sectoral leader when it comes to comprehensive automotive thermal management systems, which meet stringent Euro emission norms. MAHLE ANAND Thermal Systems, a joint venture between MAHLE Behr GmbH and Co. KG, Germany and ANAND Group, offers a wide range of aftermarket products through a strong nationwide distribution network and a team of well-trained sales and service personnel. 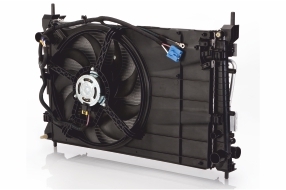 Our range of aftermarket products includes compressors, condensers, condenser assemblies, radiator fan assemblies, condenser fan assemblies, evaporators, charger air coolers, exhaust gas recirculation coolers, viscous clutches and radiators. MAHLE’s Compact Variable Compressors (CVC) represent the next generation of variable displacement piston compressor technology. 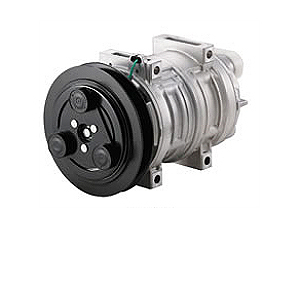 They are based on a swash plate simple harmonic motion mechanism that makes the CVC adaptable to pneumatic and electronic control. The condenser, a component in the air-conditioning circuit, is integrated into the engine cooling module where it cools and condenses the compressed, gaseous refrigerant from the compressor. 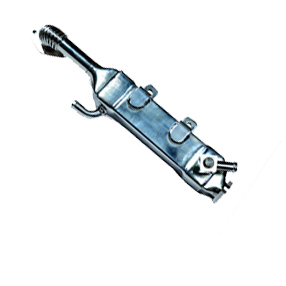 We produce brazed, flat tube condensers delivering high performance in spite of their compactness and lightness. They ensure rapid cooling of the passenger compartment thanks to the optimal matching of heat transfer and pressure drop on the coolant and air side. The one approach to meet new NOx (nitrogen oxide) emissions limits is to incorporate cooled exhaust gas recirculation (EGR). The EGR coolers produced by MAHLE ANAND Thermal Systems offer exceptional thermo-mechanical strength, reduced sooting and outstanding specific performance. The use of high-performance winglet tubes provide stable EGR temperatures and improved EGR control. 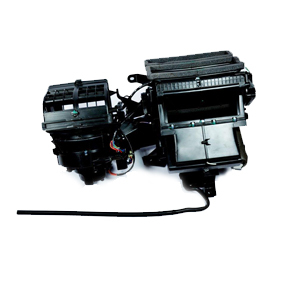 Engine Cooling Systems manufactured by MAHLE ANAND Thermal Systems are compact, durable and high performing. 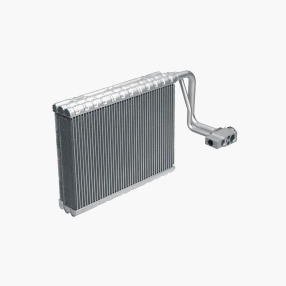 Our intercoolers are constructed using high-performance turbulator-provided inside tubes that enhance durability; they also use plastic inlet/outlet tanks that withstand high pressure, resulting in lower weight and higher compactness. Our KOMO-type condensers are designed in a manner that makes it possible for them to be directly snap-mounted to radiators without brackets; the plastic frames withstand high internal refrigerant pressure. The evaporator, housed in the HVAC module, rapidly cools the vehicle cabin’s air. The flat tube evaporators deliver superior performance in spite of their compactness and lightness. Our patented BehrOxal® coating technology modifies the aluminium surface so that it assumes hydrophilic properties: easier water run-off enabling the evaporator to dry quicker, making the evaporator more resistant to corrosion and less prone to unpleasant odour. MAHLE ANAND Thermal Systems develops HVAC systems for all market segments — from sub-compact cars to premium passenger cars and commercial vehicles. Our HVAC modules are customised around customer specifications, marked by continuous improvements in efficiency, reduction in weight and pressure loss and optimised acoustics. Standardised components and design features help develop and produce robust, economical and high-performing HVAC modules. MAHLE ANAND Thermal Systems was the first company in India to develop ICAC/LTR for BS 6 requirements. 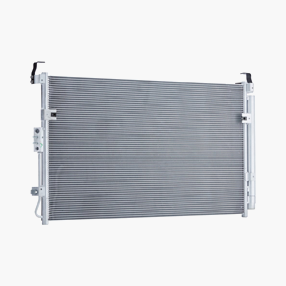 The effective heat dissipation from vehicles requires not only high-performance radiators but also fans and fan drives to efficiently supply cooling air. The aerodynamic matching of the cooling module and fan ensures efficient engine cooling at an optimal cost. 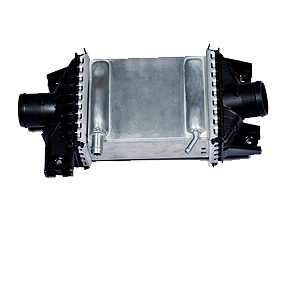 MAHLE ANAND Thermal Systems produces mechanically- and electronically-controlled Visco® fans used in a range of vehicles — from heavy trucks to vans and SUVs with powerful engines. They detect relevant temperature values for cooling and air-conditioning purposes and set the precise fan speed. This ability to deliver precision, on-demand control while ensuring rapid response times and low idling speeds when the drive is deactivated moderate fuel consumption, driving comfort and noise emissions. Thanks to the wear-free torque transfer principle, our fan-drives are maintenance-free. Our permanently-refined fan designs guarantee superior efficiency and low noise. 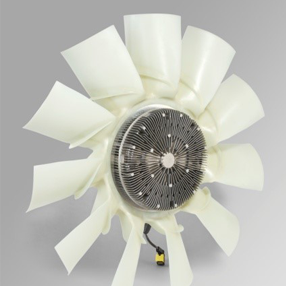 They help keep the thermally-stressed Visco® fan drives cool, improving their durability.